Map location and GPS are approximate, NOT for navigation. RV sites are very narrow. Electric available. Prior to the new casino being built we would stay here overnight to enjoy the dome casino. Even though there were no hookup, the dry camping served our needs. Along with building the new casino they also built rv parking with electrical hookups. The rv sites are so narrow that our trailer with one small slide out cannot fit. Some of the trailers that were parked there appeared to be there for a long term; possibly workers. Dry campers might be better off parking on the south side of the road where the dome is located. 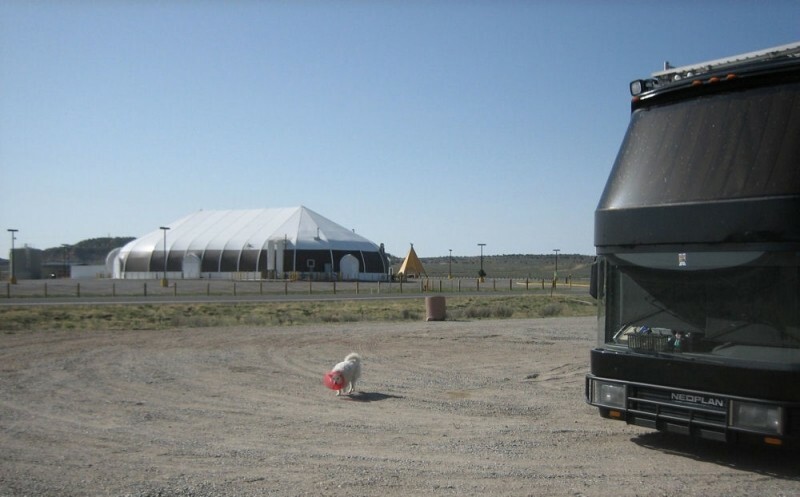 We stayed at the Apache Nugget on 5/11/2008. Well, more accurately, we stayed in the large gravel parking lot immediately across 537, which appears to be the designated truck parking for the casino and also the highway rest area. Yes, you read that correctly: Our AAA map clearly showed a highway rest area at this very same corner, and we reasoned that, if the casino did not allow overnight stays, that we would just stay at the rest area instead. 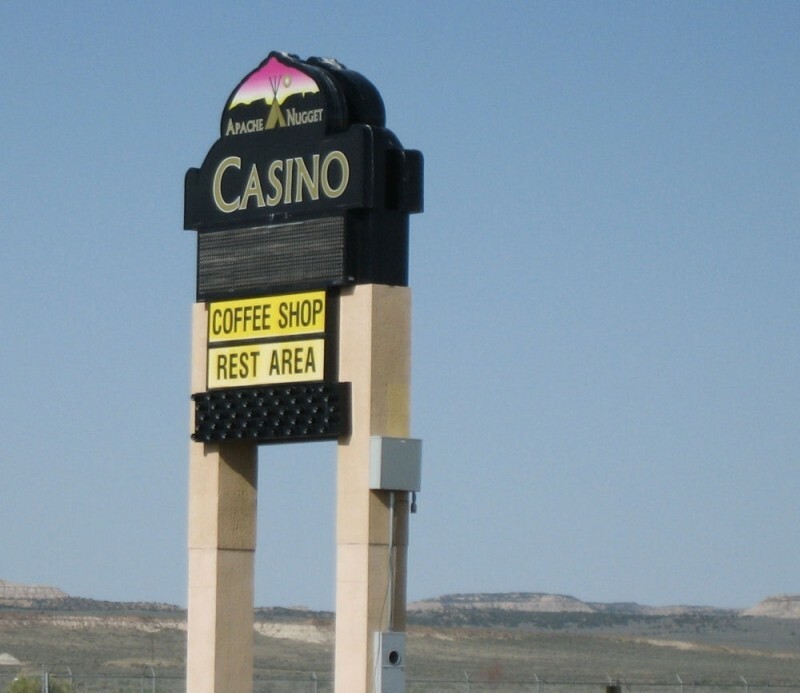 We were somewhat surprised, then, to find that they were one and the same, with "Rest Area" displayed prominently on the casino's lighted sign. 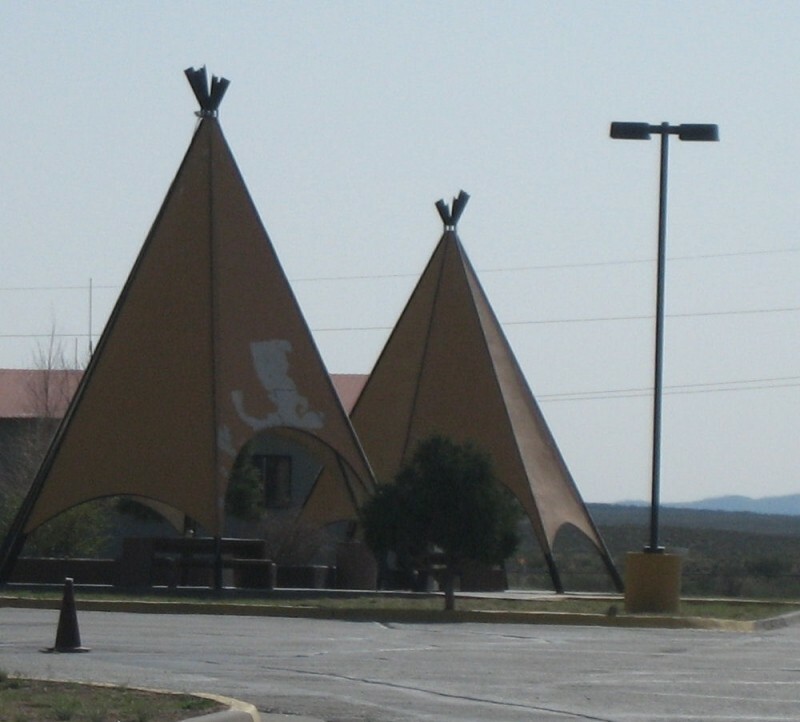 The rest area seems to consist of a pair of concrete tee-pees with concrete picnic tables and a set of restrooms, all in the same parking lot as the casino itself, a metal-and-vinyl affair resembling nothing so much as a circus tent. We did ask security about spending the night. They were very concerned about us staying in the truck lot across the street, as the casino is not open 24 hours, and that lot is neither lit nor under their video surveillance. They invited us to stay, instead, in the back lot of the casino, after registering at the security desk. We prefer it dark, so we stayed where we were, but those concerned about light and security have the option of staying on the casino premises instead. We were only planning on one night, so we did not inquire about stay limits. The casino itself is tiny, a handful of machines (no tables) occupying half the tent. The remaining space is given to a small grill, the Tsé Café, serving burgers, sandwiches, and fry bread, a small gift and smoke shop, and restrooms.